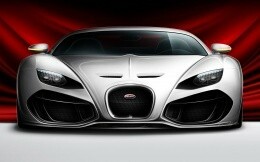 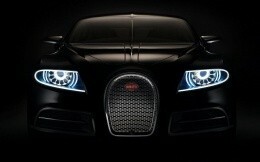 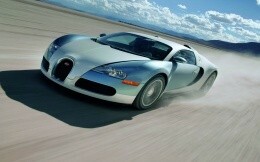 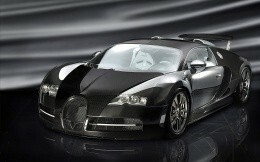 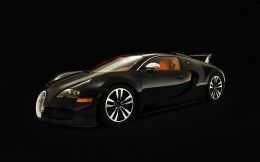 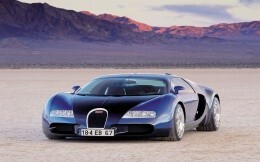 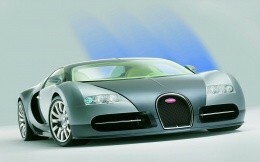 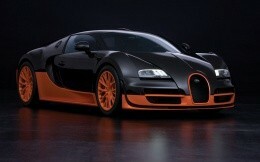 Bugatti racing car at high speed, wallpaper. 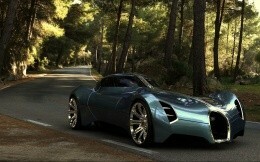 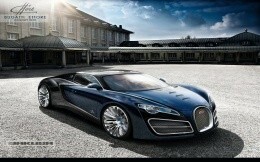 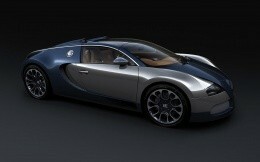 Bugatti car on a background of greenery and stone bridge wallpaper. 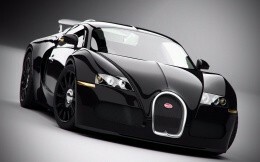 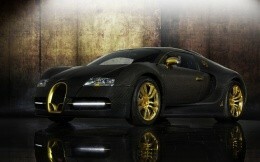 Luxurious and expensive car Bugatti wallpaper.